For a while now, the relations between AT&T and T-Mobile have been a bit strained to say the least. Things between the two carriers came to a personal head last night a party that AT&T was throwing for its developers. When T-Mobile CEO John Legere showed up, just wanting to hear some Macklemore, he was promptly kicked out. Drama! 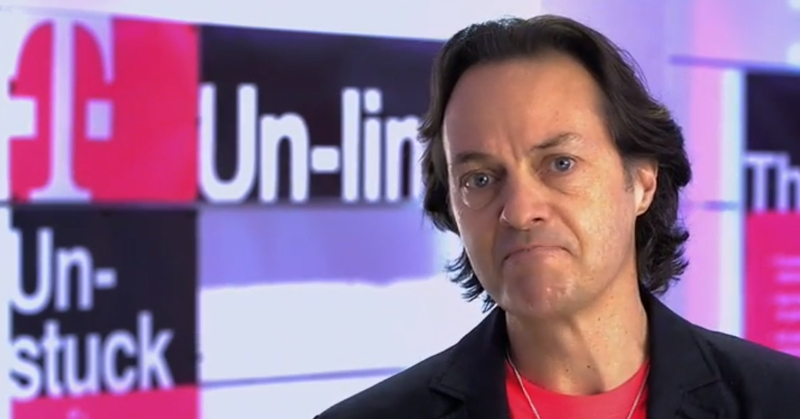 Legere has made a name for himself recently with his attacks on the Big Carriers dominating the market, while trying to promote his UnCarrier ways. You can see why AT&T might not have been too happy to have him mingling with their developers. The fact that he was walking around wearing his magenta T-Mobile shirt in the middle of all of it might not have helped either. In an interview afterwards, Legere said he was asked to leave by two “gigantic goons” who ended up being hotel security, and that if he didn’t leave he would be charged with trespassing. Legere did leave, but not before noting that AT&T spent a lot of money on the party. He commented that the money AT&T put towards that party, he would have spent on his company instead. AT&T has apparently declined to comment on the situation. Low blow or brilliant troll?